Linga POS can help you reduce your processor fees, in some cases eliminate them altogether. 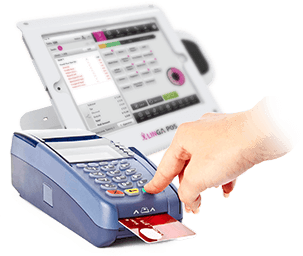 Linga POS is a pioneering cloud-based POS, optimized to support both Cash Discount and Zero-Fee programs, regardless of payment processor. Discuss your interest with your processor. Establish your pricing based on a reduced cost for cash customers. A simple setting in Linga POS Back Office adjusts the discount associated with non-cash vs cash purchases. At check out, Linga POS prints a customer a receipt confirming that non-cash customers have waived their cash discount. Linga POS supports a variety of processors, or we can recommend one that supports Cash Discount or Total-Fee Elimination programs, if those are right for your business.